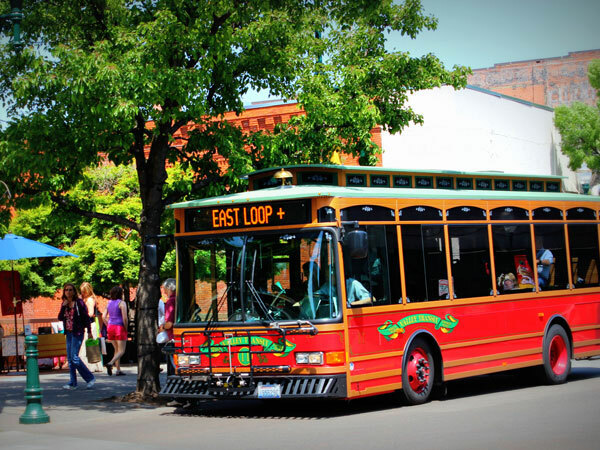 What residents, businesses, city officials, and local organizations in Walla Walla have achieved since 1980 when they began implementing their plan to rehabilitate and revitalize their downtown neighborhood has been nothing short of profound. Results include more than $50 million in private and public funds to preserve and improve nearly 300 neighborhood buildings; national awards for having revitalized Main Street, their business and commercial corridor; and exponential growth of the region's newly established wine industry that now generates $100 million a year for the city and region. The neighborhood is bounded by Highway 12 to the north; Park Street to the east; Birch and Willow streets to the south; and 7th Avenue to the west. 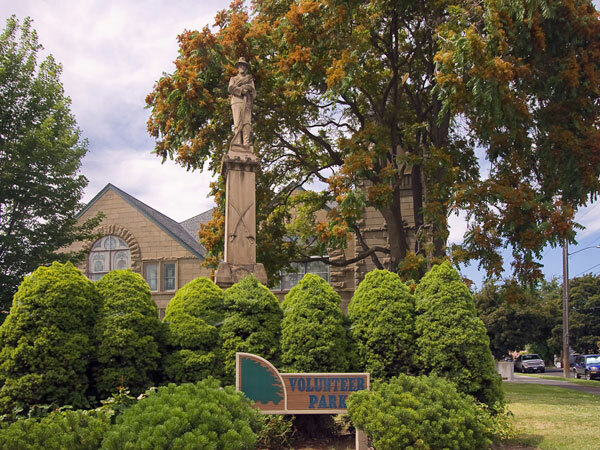 One of the Downtown Walla Walla's amenities is Volunteer Park at the corner of South Palouse and East Alder streets. Photo courtesy Joe Becker. Arts, culture, and education have been a cornerstone of Walla Walla since the nearby and prestigious Whitman College was established in 1860. Citizens further developed the arts community when multiple theaters were built, including the Keylor Grand Theater in 1905 and the Liberty Theater in 1917, both capable of seating 1,000 people. Walla Walla's first privately funded renovation occurred in 1990, when Bon-Macy's renovated the Liberty Theater as an addition to its department store, further stimulating the renovation of downtown. Meandering Mill Creek is one of Walla Walla's most important assets despite a 1931 flood that sent boulders down streets in the neighborhood, destroying bridges and many public amenities. The creek was subsequently channelized by the Army Corps of Engineers to control flood events, but today the concrete waterway is deteriorating and will need to be repaired or replaced. The city's 2004 Downtown Master Plan, which recognizes a number of unique views that exist in the neighborhood, recommends capitalizing on Mill Creek. Considered the city's greatest natural asset, the plan calls for a study to assess whether some of Mill Creek's downtown streambanks can be returned to a natural condition and still provide flood protection. Walla Walla has always been a shining gem in the remote southeast corner of Washington, but its out-of-the-way location left it off of many itineraries. That started to change in 1977 when the first winery opened its doors in the Walla Walla Valley, leading to a new industry for the region that today counts more than 100 wineries. Local wines are featured on the lists of Walla Walla's finest restaurants and are served at the many art events taking place in art galleries downtown. In 2008, a historic property survey was completed, identifying 188 properties 45 years or older located downtown. Fifteen architectural styles are represented, ranging from Beaux- Arts to Art Moderne and nearly every style in-between since 1850. Among the neighborhood's iconic buildings are the Marcus Whitman Hotel (1906), the Interurban Depot Building (1909), the Baker Boyer Bank (1911), and the U.S. Post Office (1914). A privately funded $35 million renovation of the Marcus Whitman Hotel in 2001 brought luxury rooms, a new conference center, and 30,000 square feet of office space to downtown Walla Walla. Considering what city officials, community leaders, organizations, and citizens have accomplished thus far, the neighborhood's future looks promising. The neighborhood has not only local bus service, shown here, but also the 'Grape Line' inter-city transit service. Photo courtesy Jeremy Gonzalez. 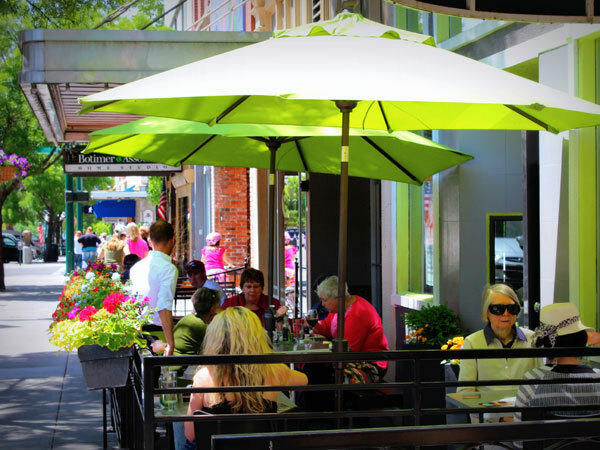 Sidewalk dining is popular among residents and tourists alike in Downtown Walla Walla. Photo courtesy Jeremy Gonzalez. Public art personalizes downtown with murals, mosaics, sculptures — unique "place markers"